If you’re considering getting a payday loan, this article will be just down your alley. We will discuss the features of this type of loan and the situations in which it is the right choice. In essence, a payday loan is a short-term loan that is helpful especially in the case of emergencies. Payday loans account for temporary solutions to financial problems. Generally speaking, in order to obtain a payday loan, you don’t need an excellent credit score or credit history. That’s what makes it rather easy to get approved for a payday loan, as opposed to traditional loans that could pose difficulties. Consequently, people struggling with their financial situation could find them helpful. Typically, payday loans can be quite pricey. That’s due to their short-term nature and immediate accessibility. That being said, payday loans enable you to borrow less than $2,000. Still, they could go as up as $5,000. Apart from that, note that loan terms depend on various elements, but their timeframe ranges from 16 to 60 days. You could extend the duration up to 12 months. Also, you can apply for a payday loan online, as it is more accessible. Now we’ll look at the benefits of choosing a payday loan. The most noteworthy advantage is that most online payday lenders could provide you with your loan in less than one day, which is extremely convenient particularly if you’re in urgent need of cash. Secondly, considering the vast variety of payday lenders online, comparing distinct offers is effortless. What you should do is simply assess the features of each offer and apply for the one that meets your specifications best. And thirdly, the application process is quick and simple. In less than a couple of minutes, you’ll have your application filled out and sent. Moving on the pitfalls, the most notable of them all is that payday loans come accompanied by high fees, which are greater than in the case of typical loans. Apart from that, the market features a range of disreputable lenders that supply payday loans. Hence, you should be careful before making your pick. www.personalloanss.com.au has a range of alternatives to payday loans that could meet your needs. How to Pay These Types of Loans? When you request a payday loan, you also need to think about the repayment. These loans are small and are easy to access, so you can choose two methods of repaying the lender back. You can opt for deduction from your pay, which means that the repayment will be deducted on the day you are paid. Or, you can choose direct debit from your bank account. Make sure that there is enough money in your account to make this payment plus other payments or taxes. You wouldn’t want to get back to square one. What Documents Do I Need for Payday Loans? Even though, payday loans are small in terms of value, the lenders still have to check your financial situation. That means that they will have to see how much you earn, what your monthly costs are and where you work. They will also check your credit score and your financial history. For this financial service, you will need to provide your lender with copies of bills, payslips or Centrelink statements, property rental statements (to show that you are up to date with your rent) and copies of statements of accounts or the credit contract. All in all, you will need to get some documents ready even for this small loan. While many clients try their best not to default on even the smallest loans, some people have bad financial habits or simply encounter something unexpected that is making them default on a loan. Whatever the case may be, the customer should always know what to expect when this happens. Clients will be charged with a default fee until they repay the outstanding amount in full. Also, a lender can charge you a maximum of two hundred percent of the total amount of the loan. This number represents the repayments you made and other default fees. Payday loans are quite popular since they are really convenient and readily accessible, irrespective of your credit history. Since the sums of money are rather small, the borrower can pay them back right away. In a way, we could say that a payday loan is a less risky solution than a long-term loan. What you’ll need is to provide evidence that you have a regular income. Next, the lender will assess your credit history and determine whether they will give you the loan or not. 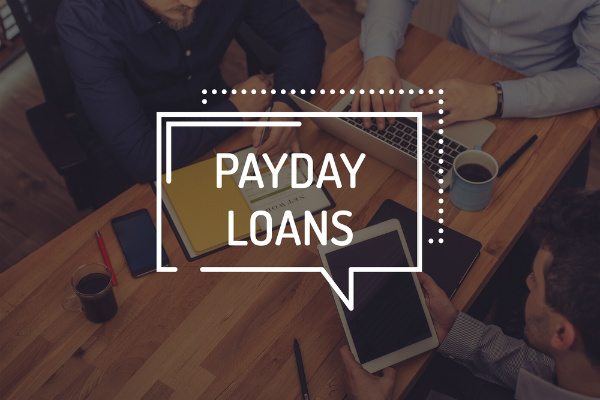 It all comes down to this: analysing the pros and cons of a payday loan and determining whether it meets your needs or not. And most importantly, make sure you pick the lender wisely!